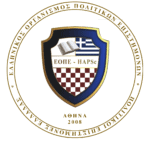 The Honorary members of the Hellenic Association of Political Scientists are divided into Honorary Members subcategories, namely the Class of Sciences – Literature and Arts, Class of Diplomats – Militants, Class of Distinguished Personalities and Citizens and in the Class of Politicians. Mrs Katerina Panagopoulos, Ambassador of Greece to the Council of Europe. Ambassador of Greece, to the Council of Europe for Sport, Tolerance and Fair Play and President of the Pan-Hellenic Women’s Association “KALLIPATEIRA”. Mrs Panagopoulos was announced Honorable Member of the Hellenic Association of Political Scientists and was given the tittle of Ambassador of Goodwill to the Association on Monday, November 28, 2016 during the special meeting of the Board of Director of HAPSc and in accordance with the consent judgment MB41/2016 of the Council. In the following special meeting Mrs Panagopoulos was announced Honorary President of the Hellenic Association of Political Scientists. Mrs Panagopoulos is an eminent personality, promoting the Greek values both in Greece and abroad through her continuous action. Athanassios Vozikis is Assistant Professor of Health Economics and Information Systems at the Department of Economics of the University of Piraeus. He holds a degree in Public Administration from the Panteion University, a M.Sc. in Health Informatics from National Kapodistriako University of Athens and a Ph.D. in Health Economics and Information Systems from the University of Piraeus. He is Director of the Laboratory of Health Economics and Management of the University of Piraeus, and has served as Chairman of the negotiating committee of the Greek National Organization for Health Care Provision and as a member of the national Public Health Council. He has participated in several research projects related to Business and Economic Re-engineering Processes in Health Care, as well as in committees as an expert in redesigning procedures, operational and strategic planning and development of health care systems, public bodies and private companies. He has also been a member of research teams for international, European and national projects and a member of committees for the implementation and evaluation of information society projects. He has taught courses at undergraduate and postgraduate level and has published a large number of research papers and monographs in international and domestic journals and conference proceedings. Dr. Panagiotis K. Ioakimidis, Honorary Professor of International and European Studies, Specialization in: European Policy with emphasis on European Integration. Dr Ioakimidis is Honorary Professor of the Department of International and European Studies at the National and Kapodistrian University of Athens with a specialization in European Policy and Integration. He is currently Professor of European Integration at the Department of Political Science and Public Administration pf the National and Kapodistrian University of Athens. He has also been Visiting Professor at the Hellenic School of Public Administration (Athens), the Centre for Diplomatic Studies of the Ministry for Foreign Affairs (Athens), the NATO Defense College (Rome) and other academic institutions. He studied Politics, Economics and European Affairs at the London School of Economics – LSE (University of London), the University of Manchester (Victoria University), the University of Amsterdam (Europa Institut), the Panteion University and the National and Kapodistrian University of Athens. He served as an adviser (Ambassador/Councilor) on European Union Affairs to the Greek Ministry of Foreign Affairs and to the Prime Minister, C. Simitis. In this capacity, he took part in all major EU treaty negotiations, including the negotiations for the Single European Act, the Treaty of Maastricht and the Treaty of Amsterdam. Dr Liargovas is Jean Monnet Professor in “European Integration and Policies” at the University of Peloponnese. He has worked as a special counselor in Public Affairs of Athens, as a special associate in the Ministry of Finance and as a director of the Hellenic School of Public Administration (Athens). He has taught at various Universities in Greece and abroad including Clark University, Bologna University, and the Universities of: Athens, Patras and Crete and he has released the book titled ”Greece: Economics, Political and Social Issues”, Nova Publishers. He received his BA degree from the University of Athens and his MA and Ph.D degrees in Economics from Clark University, Worcester MA. He has been a Fulbright Scholar, a Bakalas Foundation Scholar, a Teaching Assistant Scholar (Clark University) and a European Commission trainee (Brussels). His research agenda is highly interdisciplinary, combining economics, banking and finance, social issues and management and focuses mainly on two regions: European Union and Southeast Europe (including Greece). From December 1974 to March 1993 she served as Doctor of Ιnternational Law at the Law School of the Dimokritus University of Thrace in Komotini, while from 1994 onward she taught at the Department of European Studies of the University of Macedonia. From 1997 to 2007 she served as the General Secretary of the Center of International and European Economic Law and also as Visiting Professor at the Law School of Capital University, Colombus, Ohio, in the US. In 2003 she was announced Emeritus Professor by the Law School of the National University Neophyt Rilskyτου Blagoevgrad of Bulgraria. Since 2004 she has been the head of the UNESCO Office of the University of Macedonia for Intercultural Policy and UNESCO publications. In 2010 she was appointed ad hoc judge in the European Court of Human Right. In 2016 she became the Director of the Greek Institute for United Nations. She completed her undergraduate and postgraduate studies at the Law School of Aristotle University of Thessaloniki. Kyriakos Souliotis is Associate Professor of Health Policy ατ the University of Peloponnese and Visiting Professor of Political and Health Economics at the Medical School of the National and Kapodistrian University of Athens and at the Medical School of the University of Crete. From May 2010 to December 2011 he was Chairman of the Public Health Insurance Organization, and from May 2011 to September 2012, Vice President of the National Health Service Organization. From June 2010 until August 2013, he was a member of the National Ethics Committee for Clinical Studies. His research project, in collaboration with universities and research centers, includes more than 40 programs and studies. His work includes 20 books and more than 90 articles in collective fields and scientific journals with judges, in the fields of health policy and health, organization and administration of health services, economic inequalities, etc. He has participated as a speaker at over 150 scientific conferences and is reviewer of articles in international scientific journals including: Health Policy, Journal of Medical Systems, Diabetic Medicine, American Journal of Care Care and Journal of Business Research. He is born in Thessaloniki on the 10th of August 1956, he is graduated from the ”Anatolian” American College in Thessaloniki. He is a graduate of the Aristotle University of Thessaloniki, the School of Economics and Political Sciences. In 1986 he is graduated from the diplomatic academy of the Foreigh Ministry in Athens. He is completed his military service as a sergeant posted to the Permanent Representation of Greece to Nato, Brussels, Belgium. He is a following Embassy of the Ministy of Foreigh Affairs of Athens(1986). He is in the Directorate for Political Relations with Asia and Oceania, the ministry of external Athens. He has been promoted to Embassy Secretary C (1988). He was in the adress of International Organizations and conferences, Ministry of Foreigh Affairs of Athens(1988-90). Permanent Representation of Greece to the United Nations, New York, he is attached to the UN General Assembly(Sep-Dec 1989). Permanent Representation of Greece to the EU, Brussels, Belgium( 1990-94). Promotion to Embassy Secretary B(1992). He was Deputy Head at the Embassy of Greece in Tehran, Iran ( 1994-96). Promotion to Embassy Secretary A (1995). Consul of Greece in Vancouver, Canada ( 1996-99). Promotion to Embassy Advisor Β’ (1999). UN Secretary-General in the Directorate of International Organizations and Conferences, Ministry of Foreigh Affairs, Athens (1999-01). Ambassador of Greece to Slovakia(2013-16). Promotion to Plenipotentiary Minister A (2015). Director of NATO, Directorate D2 and Euro-Atlantic Security, Ministry of Foreigh Affairs, Athens(2016). He has received the honorary distinction, the Supreme Commander of the Order of the Phoenix. He has also speaks English, French, Italian, Portuguese. He has three daughters , Alexia, Demetra-Karolina and Phaedra-Efimia. He has born in Athens in 1961, he studied Law and Political Sciences as well as International and European Studies at the University of Athens. Both degrees were awarded with the greatest praise. He completed his postgraduate studies at the University of London LSE– (LLM), the Sorbonne University- Paris 2( DEA) and the University of Athens. He joined the bar Association of Athens, taking the first place among 31 candidates. After graduating from the National School of Public Administration, he was recruited by the Ministry of Foreigh Affairs(1992). He served successively in the diplomatic offices of the Minister of Foreigh Affairs(1992-1993) and the President of the Republic(1993-1995). In September 1995, he was appointed to the Greek Embassy in Warsaw, where he served until December 1998 as Advisor. Subsequently, he was seconded to the EU Counsil, where he worked in the Secretariat General Administration and head of the Office for EU Relations with the Organization dor Security Cooperation in Europe(OSCE) and the Counsi of Europe. He speaks English, French, Italian and Spanish and he has good knowledge of German, Turkish and Polish. He has been honored with the ”Aet of the Republic of Poland” and the Cross of the Governor of the Italian Republic. He has been also honored by the Canadian National Press and Media Counsil as the head pf social justice, human rights and democracy, among all Canadians. Mr Vassilios Tellidis retired to the rank of general and received the title of honorary leader of the Chief of Staff of the General Staff Army. He has been awarded all the marks required for his rank, medals and memoirs. He was born in kokkinohoma-,kavala on September 29, 1958. He is married and has two sons. He graduated from the Military School of West Point, in 1980 as a lieutenant. He attended the parachute school of basic training and all the planned schools of armaments officers. He also attended the school of training of lower armored officers in Smyr, France (1985). He graduated from Supreme War School (1994-1995) and from the Defense Interdisciplinary College of France, in Paris (200-2001). He graduated also from the National Defense School(2003-2004). He speaks French and English. He has been awarded all the marks for his rank, medals and memoirs. Ambassador of Greece, to the council of Europe for sport, tolerance and fair play and President of the Pan-Hellenic Women’s Association “KALLIPATEIRA”. Mrs Katerina Panagopoulos, was named an Honorable Member of the Hellenic Association of Political Scientists and was given the tittle of Ambassador of goodwill to the association on Monday, November 6, 2016 during the special meeting of the Management Board of HAPSc and in accordance with the consent judgment MB41/2016 of the Council. Mrs Katerina Panagopoulos is an eminent person, who with her constant activation promotes the Greek values in Greece and abroad. Born in 1948. Graduate of the Faculty of Mathematics and Physics of the University of Athens and of the Financial Department of the Athens Law School. MP from PASOK from 1981 to 2007. He was a PASOK Parliamentary Representative. He participated in the Standing Committees of Production, Trade and Economic Affairs of the House, member of the Greek Delegation to the Council of Europe and Committees of Economic Affairs, Development, Immigration, Refugees, Journalism and Science-Technology. He was Deputy Minister of Finance and Deputy Minister of Development as well as Secretary General of the Ministry of Finance, SG of Tax and Customs Affairs. Anastasia Garra, MP – Secretary of the Hellenic Parliament. The Council of Administration of the Hellenic Association of Political Scientists proclaimed Anastasia Garra, MP of Evros SY.RI.ZA, with the decision (CD36 / 2015) as Honorary Member. Anastasia Garra studied Journalism and Communication at the Panteion University, while she holds a postgraduate diploma in Political Science and History. She has been a member of SYN Youth since 2005. With active participation in movements, organizations and actions of solidarity, elected representative at the Panteion University Senate. Candidate MP in the 2012 at national elections with SYRIZA and candidate Regional Counselor with the “RIZA”. Michalis Katrinis was born on September 1, 1975 in the Pelopio of the Municipality of Ancient Olympia. He completed his studies at the 1st Lyceum of Pyrgos, where he graduated in 1993 with “excellent”, receiving the “I. Latsis “. He continued his studies at the School of Dentistry of the University of Athens, where he graduated in 2000. During his studies, he worked in a private dentistry. He has completed postgraduate studies at the Dental School of the University of Athens (Postgraduate Diploma in Oral Biology) in the period 2002-2004, as well as at the National School of Public Health (Postgraduate Diploma in Specialization in Health Services Management) in 2004-2005. He is a scientific associate of the Dental School of Athens in the subject of Periodontology. In September 2007 he was elected MP of PASOK. At the district of Ilia with 16,262 votes and being elected as Secretary to the Bureau of the Parliament. During this parliamentary term he was a member of the Standing Committee on Social Affairs and the Standing Committee on the Protection of the Environment. In the October 2009 elections he is re-elected first, in preference crosses, MP of Ilia with 22,565 votes. He has been a member of the Standing Committee on National Defense and Foreign Affairs, the Standing Committee on Public Administration, Public Order and Justice, the Standing Committee on the Protection of the Environment, the Standing Committee on Economic Affairs and the Committee on Equipments and Contracts. He also served as rapporteur of the KTE Foreign Affairs. He is also a member of the Western European Union and the Council of Europe. She participates in the committees “Social, Health and FamilyAffairs”, “Culture, Heritage and Nature” and “Equal Opportunities for Women and Men”. In April 2014 he assumed OKANA President, his 8-month term was associated with a visible and tangible project. The funding for the organization has been increased by 80% and past due payments to insurance funds and suppliers. At the same time, the number of people treated and benefited increased, the waiting list in Attica decreased and new establishments were created throughout Greece. He has served as Chairman of the Michaleni Children’s Protection Center and Children’s Development Center of Piraeus. He was a member of the Intergroup Committee for the Supply of Blood Donation Recipients of the Ministry of Health and Social Solidarity and the Health Committee of the Hellenic Organization for Standardization, and from 2006 to August 2007 he was a member of the Board of Directors. of the Hellenic Dental Association (EDC), the highest union of dentists with more than 16,000 members across the country. He has been a member of the Board of Directors. of the Dental Association of Attica.He worked as a dentist at a private clinic and at the IKA B.Alexandras. Giannis Kefaloyiannis,comes from Anogia, Rethymnon, but was born and raised in Rethymno. After completing secondary education at the 3rd Lyceum of Rethymnon, he studied Law in Law in Athens and continued with postgraduate studies in Politics and International Relations at Columbia University in New York. He was a scolar of the John Nichoplas Foundation, a scholarship awarded to the best-performing Greek at Columbia University. After completing the first cycle of postgraduate studies, he continued to Harvard University in the Legal Studies department, specializing in the bargaining technique for lawyers. He works as a lawyer-criminal. He began his professional career with work at the United Nations Security Council (UN). With his return to Greece and since then, he has been practicing as a lawyer as a partner of the law firm Al. Likourezou and as a freelancer with specialization in Crimina At the same time, he has voluntarily contributed to the New Democracy party, through the Secretariats of Political Planning and International Relations, and recently assumed the position of the New Democracy Local Authorities of Crete. He was elected by the Cretans of Attica to the Board of Directors of the Pancretan Union last November. He was a member of the Board of the Columbia University of New York (CUHA). He has been a member of Unicef ​​since 1994 and was a volunteer at the 2004 Olympic Games in Athens for the water polo sport (a non-professional athlete from 1986-2009). He is constantly present in the cultural events of the District. The Council of Administration of the Hellenic Association of Political Scientists proclaimed Konstantinos Michalos, President of the Athens Chamber of Commerce and Industry, by virtue of the decision of AP23 / 2016 as Honorary Member. Konstantinos Michalos was born in 1960 and studied Economics and Political Sciences at the University of Essex of the United Kingdom, while he completed postgraduate studies at the London School of Economics and Political Science in Economics. Since March 2012 he has been President of the Central Union of Chambers of Greece and since 2006 President of the Athens Chamber of Commerce and Industry (where he was re-elected in December 2011). Since 1988 he is President and Managing Director of the SWAN SA based in Kryoneri, Attica. From 1993 to 2005 he was an elected member of the Board of Directors. of the ACCI, in which, in the period 1998-2002, he held the position of the Financial Supervisor. In 2002 he was elected a member of the Board of Directors of the Arab-Hellenic Chamber of Commerce and in 2004 his Vice-President, while in 2003 he was elected President of the North Attica Business Association. In 2004 – 2005 he was a Special Advisor to the Ministry of Development. In 2005-2006 he served as Secretary General of the Ministry of Economy and Finance. In 2007 he was elected a member of the Board of Directors of ΔΕΗ In 2009 he was elected a member of the Board of Directors of OTE.